The shocking true story based on the most infamous unsolved murder case in American history. On April 11th 1981, Sue Sharp and her family are enjoying their stay at Cabin 28 in the peaceful holiday resort of Keddie. But a day of fun at the remote getaway turns into a heart stopping nightmare as nightfall brings masked strangers to the Cabin. An extensive police investigation follows but no one is … convicted of the crime. 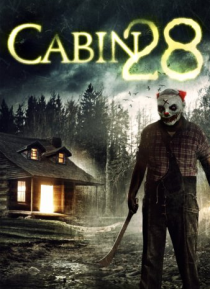 Now, over thirty years later, Cabin 28 finally gives up its deadly secret.